Oconto Falls Municipal Utilities feels that it is our responsibility to give something back to the community and contribute to educational efforts. Because of this, each year we sponsor two $1,000 scholarships to local high school students. One of the scholarships offered is the Lineworker Training Scholarship, available to any graduate who plans to attend an Electrical Power Distribution program at one of four Wisconsin Technical Colleges. The second scholarship is available to any child of an Oconto Falls Municipal Utilities customer who plans to pursue an education in the trades. Oconto Falls Municipal Utilities, in conjunction with WPPI Energy, is pleased to announce the recipients of their 2018 scholarships. Sam Virtues was awarded a $1000.00 Lineworker Training Scholarship from the utility as a 2018 graduate of Oconto Falls High School. Sam is the son of Paul and Theresa Virtues. 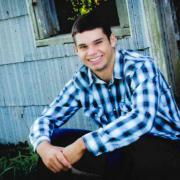 Sam will be attending NWTC, majoring in Electrical Power Distribution and Gas Utility Construction & Service. Receiving a $1000.00 General Scholarship from the utility was Cliff Yuma, son of Crystal Yuma. 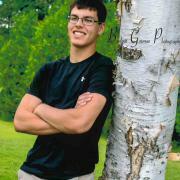 Cliff plans to attend UW-Oshkosh, majoring in Finance. Congratulations to Sam and Cliff, and to all the 2018 graduates of Oconto Falls. Good luck in all your future endeavors. We are proud of you!